Louis Freeh is a busy man these days. After being tapped to look into the unfolding scandal at Penn State, the former FBI director is now taking part in MF Global’s Chapter 11 bankruptcy case, reports the Associated Press. He has been appointed trustee for the company. Media reports say up to $1.2 billion in customer accounts is missing from the firm. 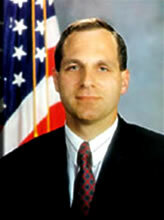 Freeh headed the bureau from 1993 through 2001 and is now chairman of Freeh Group International Solutions LLC, a global risk-management firm. MF Global filed for bankruptcy protection after placing bad bets on European debt and is currently being investigated by the FBI over actions that may have violated securities and criminal law. The financial firm asked Freeh to act as its trustee in seeking bankruptcy protection. Posted: 11/28/11 at 8:41 AM under FBI, News Story.